Fathers Day may conjure up, among other things, golf, fishing poles and joke socks, but top of the list surely has to be a BBQ. While the weather may well be a factor in this not being on the cards this weekend surely Dad could also do with a Sunday off the grill duty? Let us therefore introduce you to the rise of the Josper Grill – The Josper originates from Spain and is a high temperature charcoal grill – basically the hottest indoor BBQ you will find. Jospers UK importer are reporting a growing interest from both top end and high profile restaurants – its basically the poshest BBQ you can find. The trick seems to be in the ‘front door’ which helps seal in the moisture whilst ensuring the grilled food is seared to perfection. Here therefore is DR’s guide to restaurants with a Josper Grill. 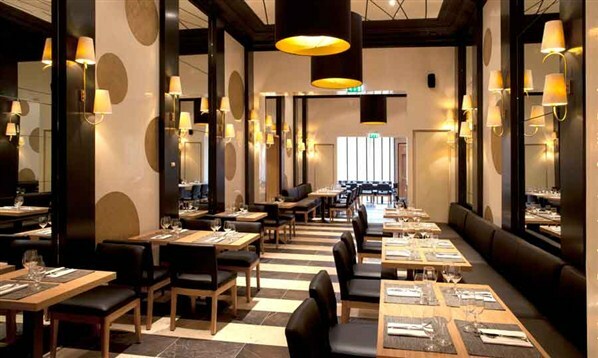 Michelin acclaimed chef Martin Wishart opened this stunning contemporary French meets Scottish cuisine style brasserie with his Head Chef frontman and business partner Paul Tamburrini. It is possibly Edinburgh’s finest brasserie, but less formal than his other restaurants. Honours is cosmopolitan chic with a tasteful, urbane vibe of stone floors, spotlights, black leather banquettes with a centrepiece of a Josper Grill perfect for dressed-up or dressed-down dining. For Design Restaurants member benefits click here. With their Josper recently acquired, Estate Grill Chef Simon Bolsovers new toy is going great guns and alfresco dining is also available in the tranquil courtyard at the front of this magnificent Tudor hunting lodge. For Design Restaurants member benefits click here. With dramatic views over the glass and steel of Canary Wharf, Head Chef, Alan Pickett has been perfecting his technique on the Josper for a year or so now. The second restaurant in London to offer the Josper Grill experience, according to the folks there! Offering grilled Hampshire Beef and slow smoked duck on the Josper this restaurant is a great choice for Dad. The very masculine Sky Bar also offers the Top Gun experience of overlooking the runway at Farnborough Airport. For member benefits click here. As you would expect, a dazzling menu featuring the best steak offering drawing inspiration from New York grills. Buy Dad a ‘Butcher to Grill’ masterclass so he can try out the Josper himself! Just two minutes from Buckingham Palace and St James’ Park, Quilon is a bonified hidden gem, specialising in modern Keralan cuisine from the South West Coast of India, with an emphasis on fish and seafood dishes. Sister property to the famous Bombay Brasserie, Quilon was awarded a Michelin star in 2008 which it held until 2011. For member benefits click here. Run in the main by Cedric Bosi, brother to Claude of Hibiscus fame, this fantastic gourmet Pub offers classic British dishes and premium quality steaks, sourced from the renowned Buccleuch estate in Scotland. Nine tasty ounces of steak from the Josper grill in the Boat House could be just the reward after a few holes of golf and a pint in the Claret Jug. Considered by some as ‘The Best Restaurant in the World’ the fact that Dinner uses a Josper Grill, the flames of which diners can see through the glass plate wall, as got to be the ultimate confirmation that Josper has truly arrived. Good luck on getting a booking! 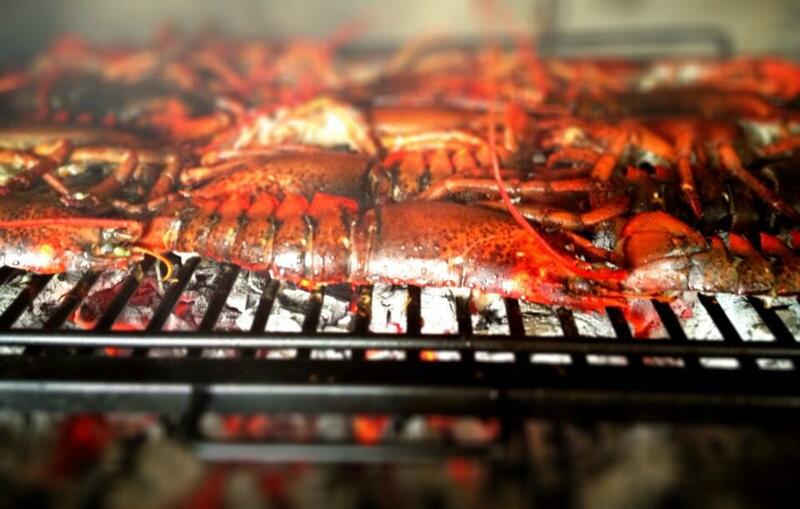 If you know of any other restaurants with a Josper Grill please place it in comments – or let us know your experiences. 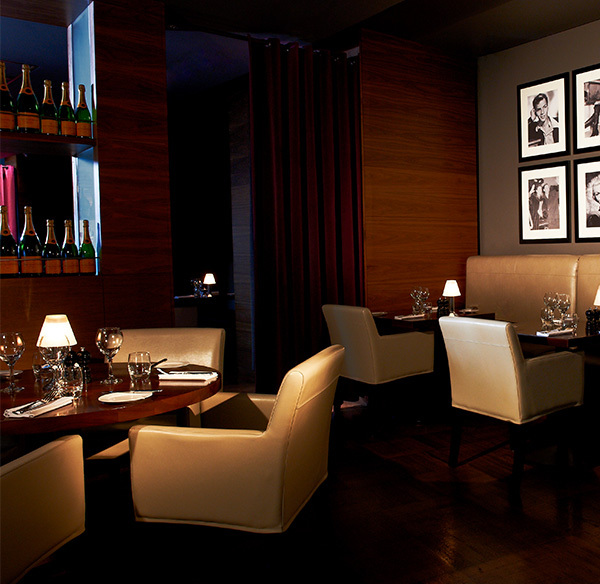 For more details on Design Restaurants fine dining members club offering up to 50% discount and benefits please go to www.designrestaurants.com.